Peter Nollen sat down with me to discuss his sudden realization that dead week isn’t the last week of the semester. 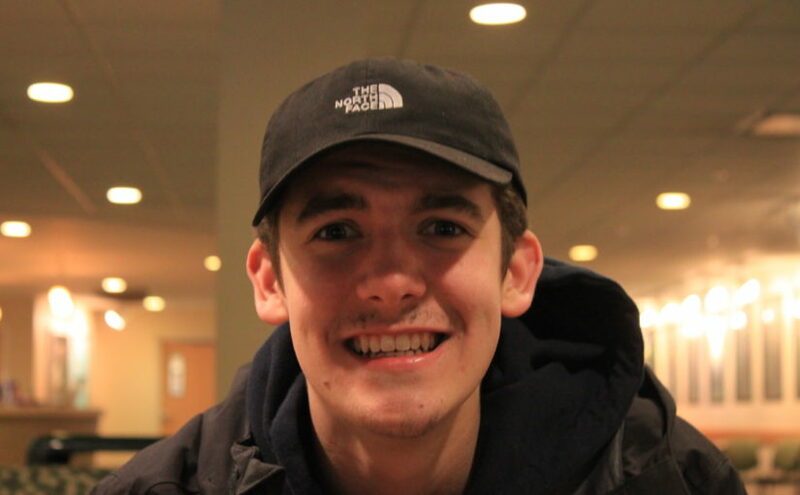 Local freshman Peter Nollen last Tuesday was surprised by the realization that dead week is followed by a week that contains something called finals week. Nollen, who is majoring in business, was out Tuesday night drinking at an older friend’s apartment. After consuming several Jell0-O shots and drinking seven Keystone Lights, the freshman was startled by a conversation his friend was having. Nollen told me that he thought that dead week was a college student’s term for finals week. He thought that his lack of any end of year exams was, in his words, “pretty rad.” He told me that since he didn’t think there were any exams that he hasn’t taken notes in his classes for weeks. Nollen, to avoid embarrassment, told me that he did not in fact vocalize his realization. He did however trudge his way through the snow back to his dorm and started consulting syllabuses as soon as he could. Nollen told me that this Blackboard website was very useful and supported this being made available for students. Nollen, who seemingly doesn’t know what the term GPA stands for, told me that over dead week his assignments have gotten very hard. This doesn’t mean that Nollen is done working hard. He told me he plans on working hard through the week he didn’t know was dedicated to finals. “I know where some of my finals are, I think.” Nollen told me that he plans on at least having several celebratory shots after his final test.